How the Death of Annual Performance Reviews Improves Worker Morale - Duffy Group, Inc.
Last year, General Electric announced it would completely re-engineer its longstanding employee performance review program. This decision—which is in line with similar changes from other prominent firms such as Goldman Sachs, Adobe and Accenture—signals a shift away from the traditional performance review system that has been embedded in corporate culture for decades. General Electric’s decision was a significant one, as their internal five-point employee rating system was widely copied and served as a template for other organization. This decision signals that conventional performance reviews have lost a great deal of their efficacy and often end up doing more harm than good. If your firm is using a conventional employee review system — and you have confidence that it’s effective — you’re an outlier. 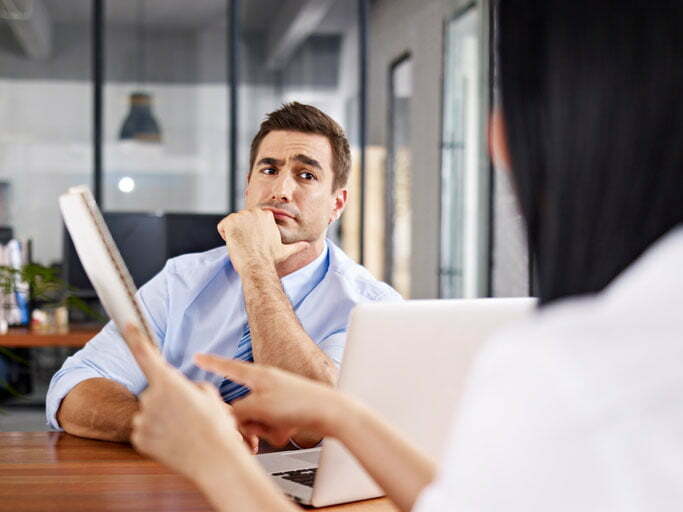 Management research firm CEB recently complied data that showed an astounding 95-percent of managers dislike the way their company conducts performance reviews. Even worse, 90-percent of HR personnel feel these reviews do not generate accurate data. So what’s the alternative? Companies such as those listed above are building innovative new systems that stress timely feedback while eliminating interactions where an employee sits in front of a manager and is evaluated based on a static set of “one size fits all” criteria. Such settings can seem arbitrary and needlessly judgmental to workers, causing friction and lowering morale. Instead of an annual meeting with a pre-set group of evaluation metrics, forward-thinking companies are realizing it makes more sense to engage with workers year-round and offer tailored feedback in real time. For example, instead of filling out a standard evaluation sheet at yearly intervals, managers will connect with workers after each assignment or project, and offer custom coaching and feedback. In addition to a significant boost in employee morale, the elimination of annual performance reviews offers several other benefits. First, employees aren’t the only group chafing at the conventional performance review structure; managers often dislike the process, as well, since it ends up being more time-consuming and fosters a more informal relationship with employees. When managers are free to provide regular feedback, they can rely on the employee’s short-term performance and cultivate a personal relationship with them. Second, dispensing with annual reviews in favor of tailored year-round feedback provides better data. It allows companies to make more informed judgments about which workers to reward, retain or let go. Finally, timely feedback is a great motivator. Employee performance improves when tied to clear, consistent managerial direction. By offering this guidance on a regular basis rather than every 12 months, workers feel their managers are invested in their success. While only a handful of Fortune 500 firms have completely done away with annual performance reviews, the trend seems inescapable. Firms such as GE and Goldman Sachs are at the vanguard of management theory and practice, and we can expect their lead to be followed. By dispensing with a traditional annual performance review system in favor of a fairer and more flexible approach, you can improve employee morale, get the most from your staff and help retain your most valued personnel.